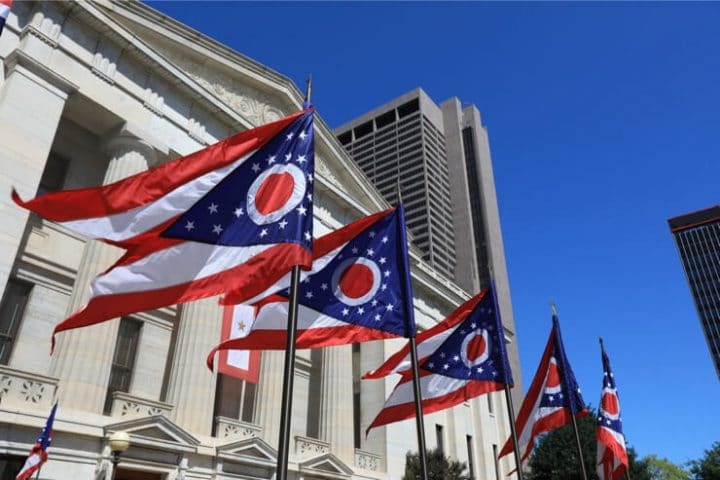 Ohio having regulated sports betting soon is about the surest bet anyone can make right now, according to Governor-elect Mike DeWine, a Republican. Speaking to News 5 Cleveland recently, DeWine, who earlier this month won his race for Ohio’s top office by more than 4 points, said that it’s only a matter of time. “It’s coming to Ohio, whether people want it or not,” he said. Those are strong words from the incoming governor. DeWine was referring to regulated sportsbooks, as Ohioans are already being served by offshore, black-market sites. While on the campaign trail earlier this year, DeWine’s team was careful with its position on sports wagering. In the immediate wake of the mid-May Supreme Court ruling that struck down the federal ban, DeWine’s position was in a state of flux. A campaign spokesperson told the Columbus Dispatch that DeWine was opposed to gambling expansion in Ohio, including sports wagering. The report stated that Democratic gubernatorial candidate Richard Cordray was open to Ohio legalizing and regulating sportsbooks for its casinos and racinos. The following day, DeWine spoke directly to the paper in Ohio’s capital city to clarify his position. It was actually more of a 180. Clearly DeWine saw the political risk of opposing regulation in a state that will lose gambling dollars to Pennsylvania if it fails to act. Though updated, his position was still a bit muddled considering that Ohio established a successful casino industry through a ballot initiative. It appears that the only people calling for an Ohio sports betting referendum in 2019 are those in favor of allowing on-site sports betting at bars and restaurants. Whether he knows it or not, DeWine is steering Ohio’s sports betting debate away from what it is being floated in Kansas. In 2009, Ohio voters approved a constitutional amendment to allow for Las Vegas-style casinos in Cleveland, Columbus, Toledo, and Cincinnati. The predominant backers of that vote were Cleveland Cavaliers majority owner Dan Gilbert and Penn National Gaming, one of the most respected casino operators in the country. Penn National went live with sports betting in Pennsylvania last week. Are his ballot concerns reasonable? It’s good that DeWine is still urging the legislature to act on sports betting. However, he hasn’t walked back his concerns over sports betting going on the ballot. That’s an unlikely scenario. 5. Permit approved types of casino gaming authorized by Michigan, West Virginia, Indiana, and Pennsylvania as of Jan. 1, 2009 or games subsequently authorized by those states. Both Pennsylvania and West Virginia have active sports betting industries, with Michigan seriously considering it. Indiana has been home to sports betting talks, but it appears to be currently behind Michigan. The amendment did set the Ohio casino tax rate at 33%, which would be very high for sports wagering. A new bill could conceivably create a separate rate for off-site, internet/mobile bets, but a lower rate would decentivize brick-and-mortar wagering. The sports betting tax is 36% in Pennsylvania, and operators there are still opening sportsbooks, but it’s far from ideal. New Jersey has an 8.5% tax on brick-and-mortar sports win and a 13% rate for online. Ohio’s first casino opened in 2012, and DeWine was quick to oversee the industry as Ohio’s top law enforcement officer. In 2016, the American Gaming Association applauded DeWine for establishing a new state agency to go after illegal slot machines in underground gambling dens. The enforcement was driven by Ohio’s casino industry starting off slower than most had planned for. Ohio was expecting more than $640 million in annual tax revenue from the four commercial casinos. According to the AGA, commercial casino tax revenue was about $590 million last year, so the Buckeye State still isn’t realizing the tax revenue it had once eyed. Legalizing sports betting and moving Ohioans away from black-market operators will help Ohio reach its old tax revenue projections. A mature Ohio sports betting market, assuming state-of-the-art mobile adoption, could generate $7.7 billion in annual handle and more than $550 million in taxable gaming revenue, according to a 2017 study from Oxford Economics.